CAREERMagic came to Katz Web Design to give their website some fresh blood. 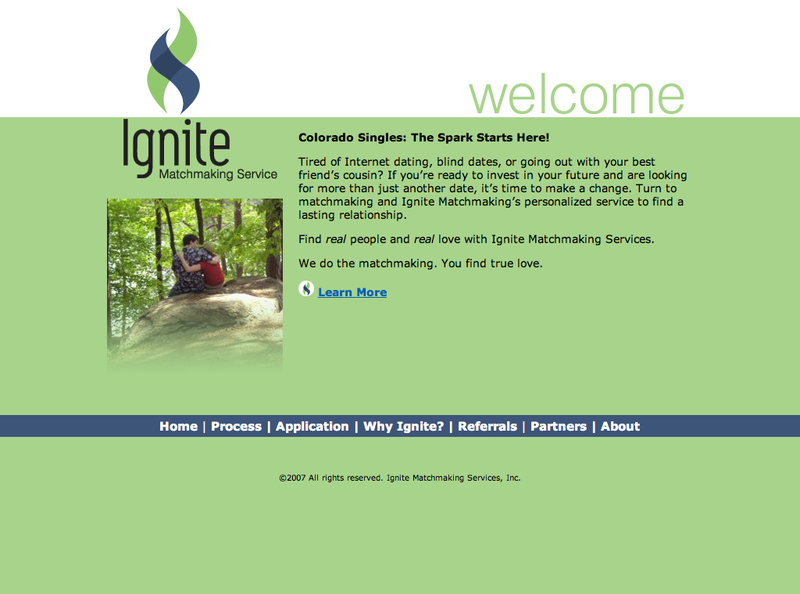 Ignite Matchmaking is a professional matchmaker in Denver, Colorado. Sheryl Williams, President of Ignite asked Katz Web Design to increase the effectiveness of her website. 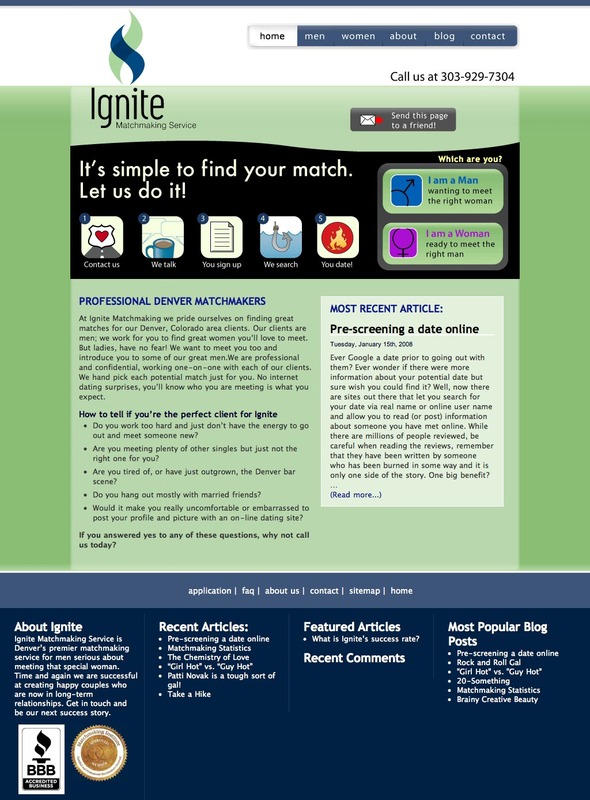 The Previous Ignite Matchmaking Homepage was not visually interesting, had little information about the matchmaking process, and was not well constructed (using XHTML and CSS). The new home page has a graphic that outlines the five steps and calls users to action with a simple choice: I am a Man or I am a Woman. The site now has a blog that will entice visitors to stay longer.